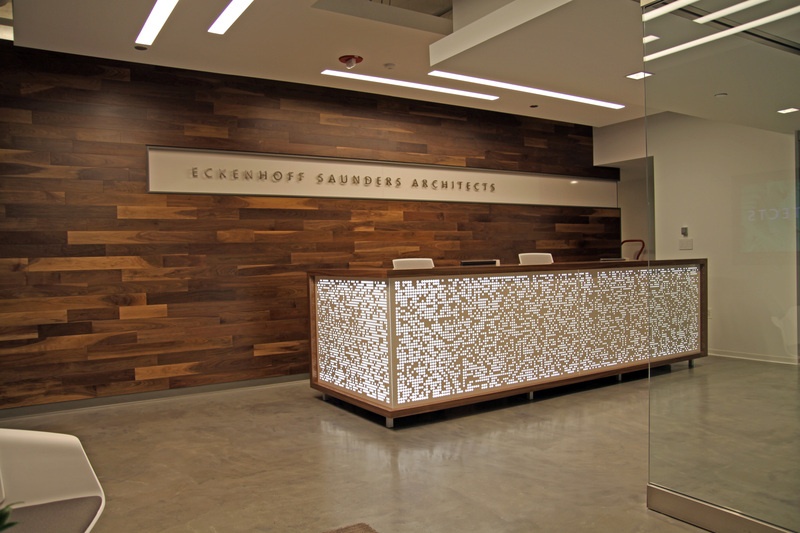 Reed Construction recently completed a 9,000 square foot build-out for Eckenhoff Saunders Architects, a Chicago-based firm specializing in architecture, planning and interior design. 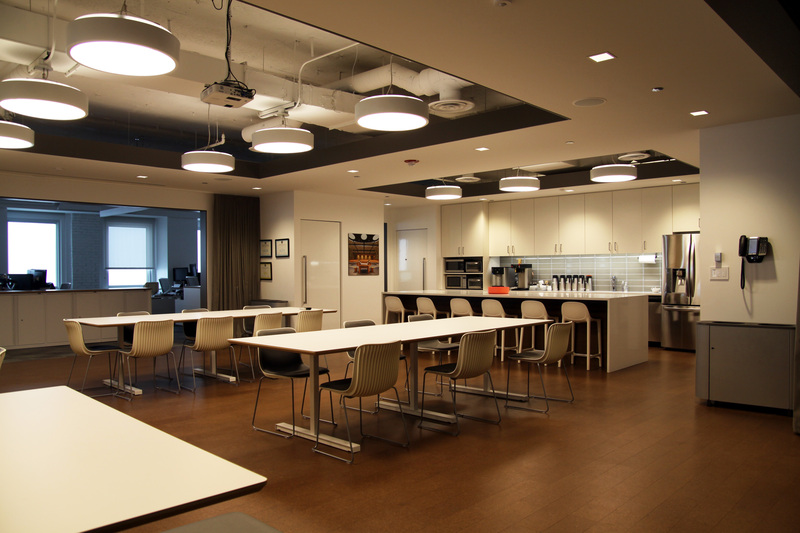 We were selected to complete the build-out to ESA’s new headquarters following their recent move from the West Loop to the new space within 1 Prudential Plaza at 130 E. Randolph in downtown Chicago. 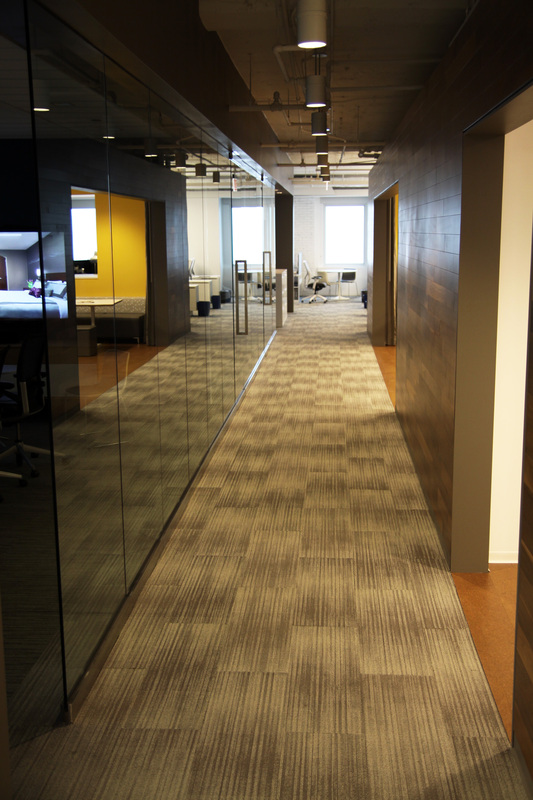 The new space features modern design elements in an open office layout, including loft ceilings with high-end LED light fixtures, walls clad in walnut flooring and custom, fabricated millwork throughout. 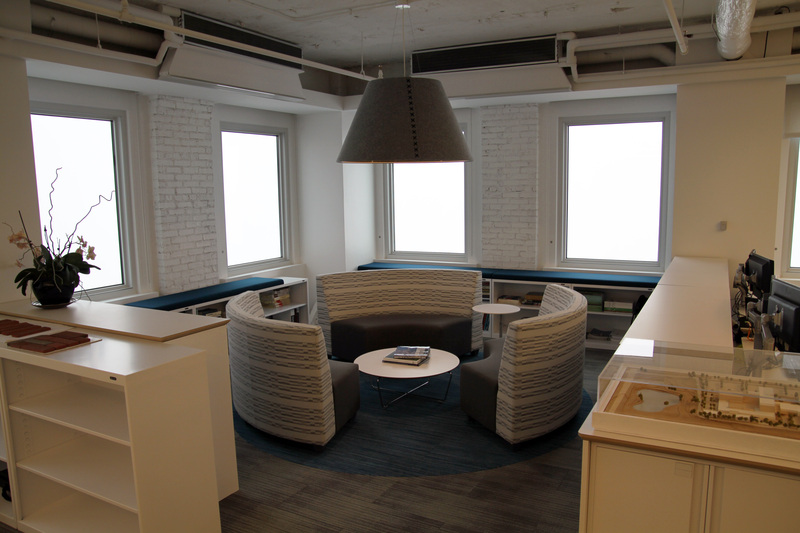 Another perk of the new office is the amount of additional built-in meeting and workspace. 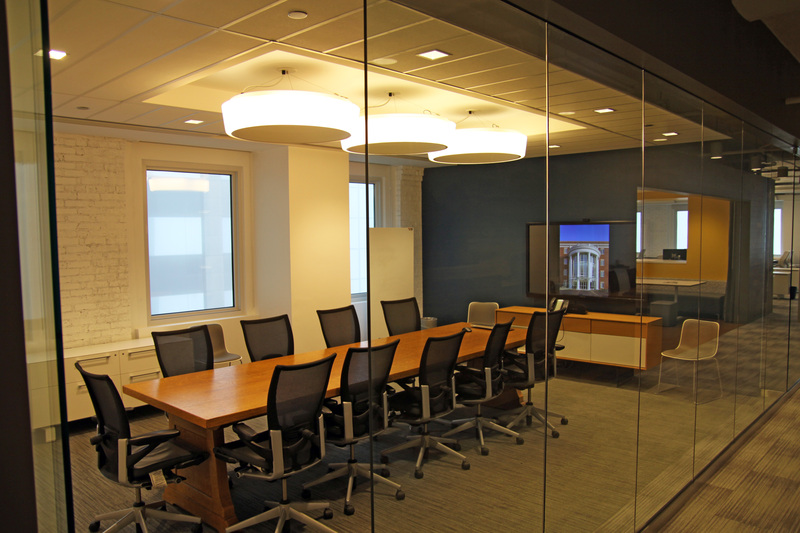 There is a main conference room located immediately off the lobby and the kitchen area also doubles as a gathering space for employees. 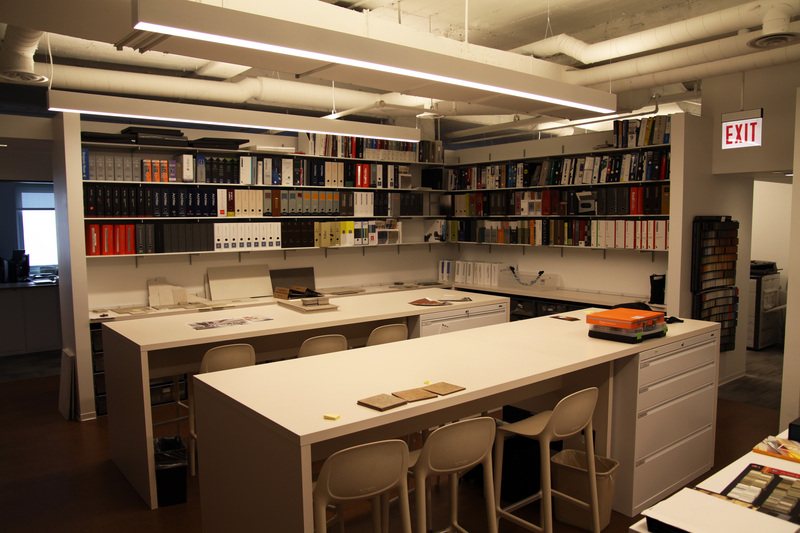 Finally, the samples library provides ample storage as well as large work tables where teams can collaborate on projects. 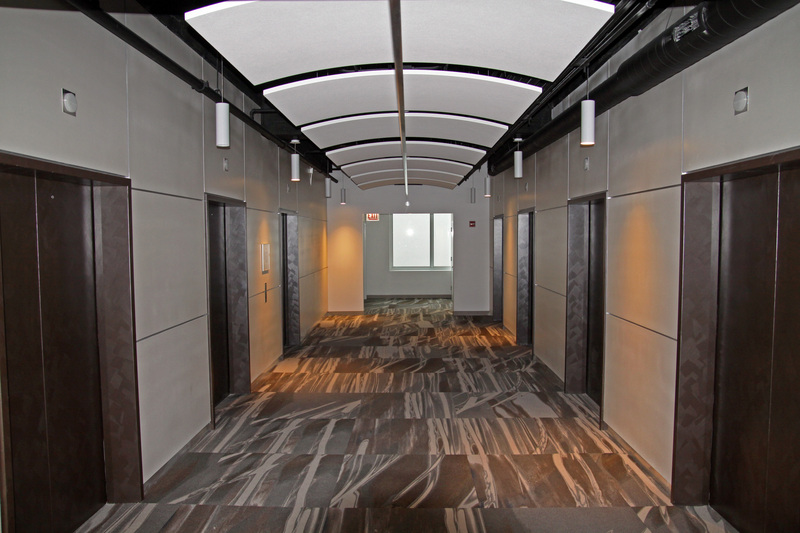 During the project, we also simultaneously renovated the 18th floor corridor and elevator lobby space adjacent to the ESA suite. 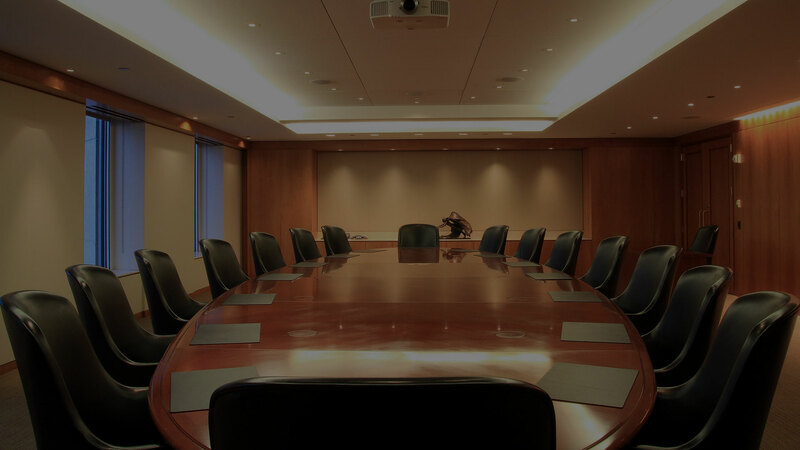 Leading the project team was Joe Kozlowski, project manager. Erik Gunderson was the project engineer and John Menendez was the project superintendent. 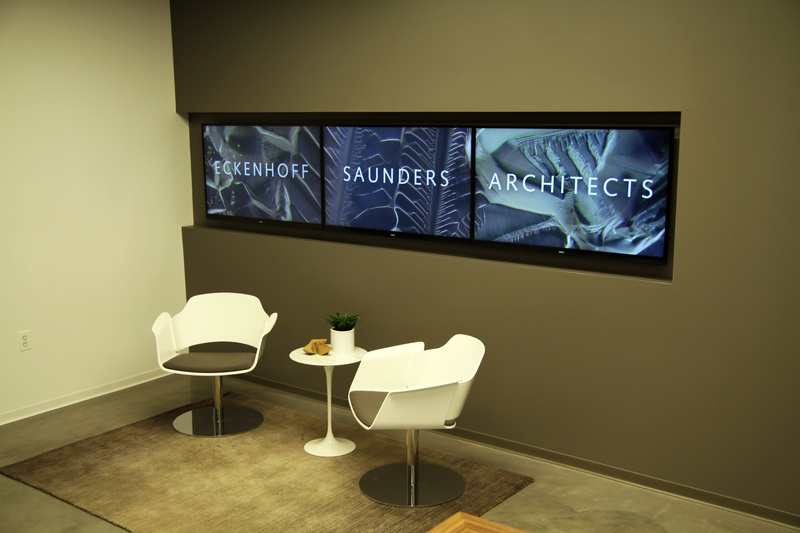 Design and architectural services were provided by Eckenhoff Saunders Architects.